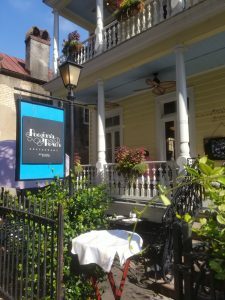 Charleston, SC is just about the most perfect city for a girlfriend’s get-a-way. This city is filled with all of the things that a girl needs: beautiful scenery, amazing shopping, and let’s not forget some of the best food in the good ole US. Charleston is a walking city, so you can literally, walk, talk, shop and eat your way through this historic city. You and your friends can enroll in a candle making class at the Candlefish Shop. 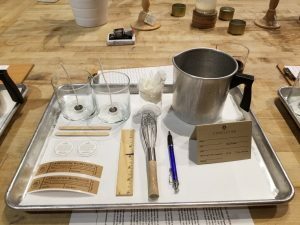 Not only is this an amazing store to shop, but you can make your own soy candle from one of the 99 fragrances available. Bring your own beverages to this two and a half hour class and take home two custom made candles made by you! 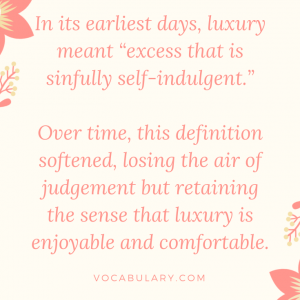 Mine was a scent of the South: Magnolia and Gardenia. I highly recommend the private garden and home tour led by June and Laura at the Charleston Tea Party. Not only do these ladies know everything about Charleston, they are able to show you private homes and gardens that are not available with the mainstream walking tours. Participants are driven in an air conditioned van to the different touring sites, and the tours end at Laura’s beautiful historic home on Tradd Street with lunch and tea. It is a perfect way to spend the day. 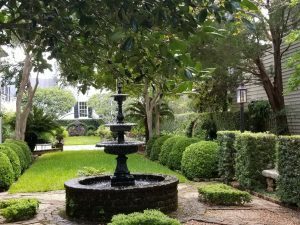 If gardens aren’t your sweet spot, the Charleston Tea Party also offers private, guided antique tours. They take you to shops off then beaten path and often to private collectors to purchase unique, one of a kind treasures. While on this tour I purchased several unique items including a French candy box from the 1800s and a beautiful silver vase. 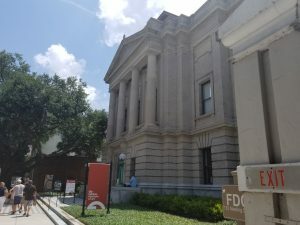 This is a perfect place to learn about the rich history of Charleston through art. This museum also has the most beautiful two story sculpture made of woven branches that you have to see. Also, the gardens out back are worth the visit. If you come to Charleston, it should go without saying that you have to walk by Rainbow Row. The walk up the Battery and East Bay Street is truly memorable. Just north of Rainbow Row on E Bay St. stop at W Hampton Brand Gallery. The gallery here boast of original rendition of the Charleston mansions and Rainbow Row as they actually exist. The unique part is that each piece of art is painted on a piece of slate from an historic building. I purchased a beautiful rendition of the mansions on the waterfront on a slate from the late 1700 from a house on 95 Broad. 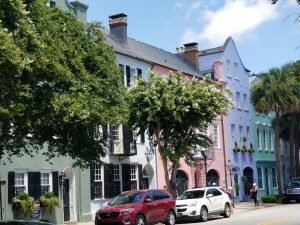 King Street is certainly the most famous shopping street in Charleston. 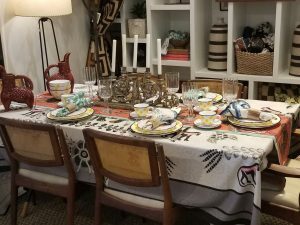 While you will find the big chain stores like Pottery Barn and Ann Taylor, you will also be introduced to a wonderful mix of boutiques and specialty shops. While there are a large concentration of shops on King Street, there are a few other places that I loved. I am a foodie at heart and I derive true pleasure from a well cooked meal. Charleston is foodie heaven. 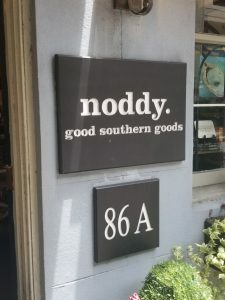 Not only do you have restaurants like FIG and Husk from top American chefs but even this smaller places know the pleasure of good food—with a southern flair of course. I started my trip here so 167 Raw was the restaurant to beat. It is a small raw bar and restaurant on E Bay Street with a line around the block because they don’t take reservations. 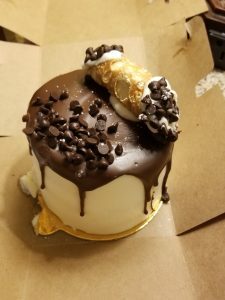 Let me tell you, it is worth the wait. 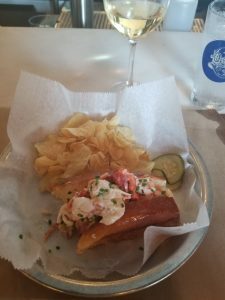 The lobster roll here was full, fresh and amazing. 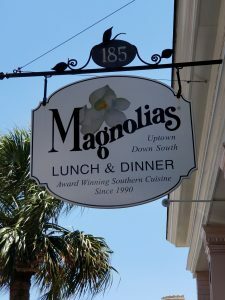 Also on East Bay Street, I went here for Sunday Brunch and I have to say…I experienced one of the most amazing foods I had ever had the pleasure of eating…Fried Green Tomatoes. Now I grew up in the south so I was no stranger to Fried Green Tomatoes but these we battered perfectly and surround by a sauce that literally made me want to lick my plate clean. This is a charming restaurant on Queen Street. Here I had the pleasure of eating Fried Pimento Cheese. Not quite as good as the Fried Green Tomatoes at Magnolias but a close second. Te She Crab Soup was also a don’t miss. 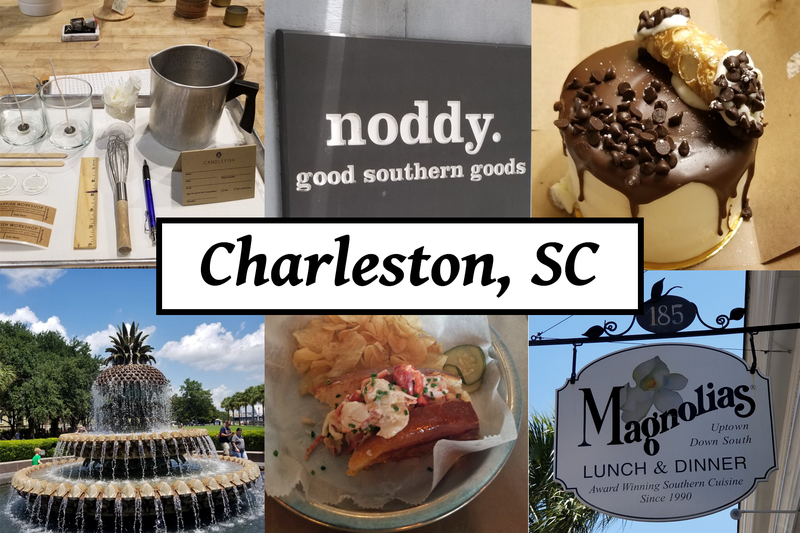 If you have been to Charleston…how did I do? 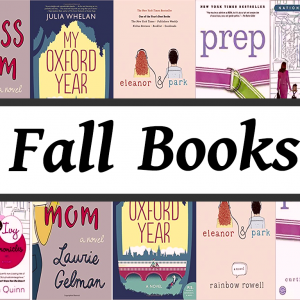 Do you agree with my recommendations? What would you add to the list? I am already looking forward to my next visit to this amazing city and would love to add your don’t misses to my list.